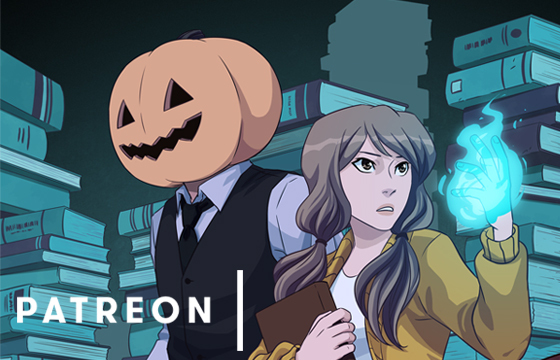 Third Shift Society is a supernatural action comic about two paranormal detectives: Ellie, a plucky 20-something who recently discovered her own otherworldly powers; and Ichabod, a calm, intelligent man who happens to have a pumpkin for a head. Together they navigate a world full of ghosts, vampires, witches, and demons…and those are just the clients! Hi there! I’m Meredith, a freelance artist from Philadelphia. I specialize in visual storytelling through comics, illustration, and design. When I’m not doing art stuff, I like to bake, play video games, and hang out with my dogs. You can find my portfolio at meredithmoriarty.com.